That the revenue position at the end of the first quarter and the actions being taken or proposed to improve the position where significant variances have been identified be noted. The budget is a statement, in financial terms, of the priorities set out in the strategic plan. It reflects the Council�s decisions on the allocation of resources to all objectives of the strategic plan. The issues raised in this report identify areas where financial performance is at variance with priority outcomes. 1.1 This report provides the committee with an overview of the revenue budget and outturn for the first quarter of 2017/18, and highlights financial matters which may have a material impact on the Medium Term Financial Strategy or the Balance Sheet. 1.2 As at the 30 June 2017, this Committee was showing an overall negative variance of �300,000. The individual variances for each service area are detailed within Appendix I. 1.3 The position for the Council as a whole at the end of the first quarter shows a positive variance but there are still a number of underlying pressures across all the Committees that need to be addressed to ensure that this position continues throughout the year. 2.1 The Director of Finance & Business Improvement is the Responsible Financial Officer, and has overall responsibility for budgetary control and financial management.� However in practice, day to day budgetary control is delegated to service managers, with assistance and advice from their director and the finance section. 2.2 The Medium Term Financial Strategy for 2017/18 onwards was agreed by full Council on 1 March 2017.� This report advises and updates the Committee on the current position with regards to revenue expenditure against the approved budgets. quarter of 2017/18, to June 2017. The appendix details the net budget per cost centre for this Committee. Actual expenditure is shown to the end of June 2017 and includes accruals for goods and services received but not yet paid for. Homeless Temporary Accommodation � An additional budget has been provided for temporary accommodation this year, but an overspend is still expected because (a) it has taken longer to bring into use Council owned properties for homeless families and (b) current trends indicate an increase in the numbers we will have to accommodate. Pollution Control � General - The variance is as a result of an unspent �206,000 Defra Air Quality Grant. Any unspent grant at year end will be carried forward to the following financial year. 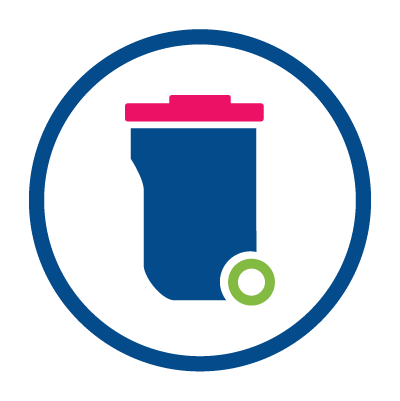 Recycling Collection - The variance is due to increased contract costs, resulting from a higher indexation increase than budgeted for. The Head of Service has plans to address this shortfall. Street Cleansing - The variance is a result of several reasons including unmet savings targets, increased refuse disposal costs and increased overtime and agency costs exacerbated by premium rates for shift work to cover staff sickness..
June 2017 the committee can choose to note those actions and reconsider the outcomes at the end of the third quarter or it could choose to take further action. 5.1 This report is not expected to lead to any consultation. service committees in September 2017, apart from Communities, Housing and the Environment Committee where the meeting was cancelled, culminating which culminated in a full report to Policy and Resources committee on 20 September. 6.2 Details of the actions taken by service committees to manage the pressures in their budgets will be reported to Policy and Resources committee at this meeting.